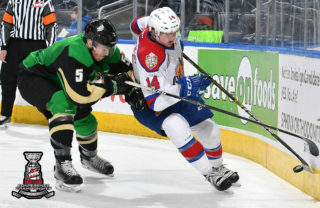 Swift Current, SK – The Prince Albert Raiders had trouble on special teams in their final preseason game on Friday night in Swift Current. 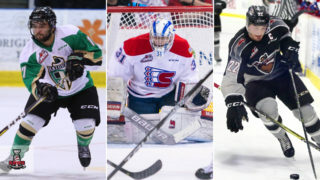 The Broncos scored three power-play goals to down the Raiders 4-2 at the Credit Union i-Plex. The loss dropped the Raiders’ preseason record to 3-2-0-0. Kaden Elder got the Broncos on the board with his team’s first of two power-play goals in the period, putting his team up 1-0. About two minutes later, Raiders captain Tim Vanstone tied the game as he jammed the puck through Broncos goaltender Travis Child. With 2:42 remaining, Tyler Steenbergen got Swift Current’s second power-play goal to put his team up. Less than a minute later, Loch Morrison blasted a shot past Child to tie the game 2-2 heading into the intermission. 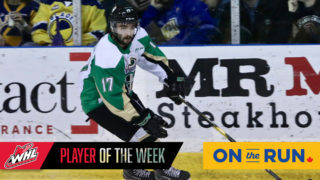 Following a scoreless second period, Calvin Spencer struck for the Broncos – once again on the power play – to restore Swift Current’s one-goal lead. Artyom Minulin sealed the win for the Broncos, scoring into the empty net with 1:34 left in the game. Ian Scott played the full game for the Raiders on Friday night. He made 16 saves in the loss. Child also manned the crease for the entire game, stopping 13 shots to earn the win. 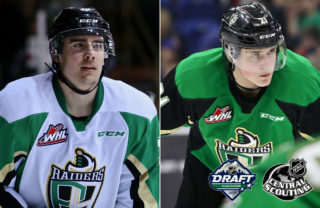 Next up for the Raiders is the 2016-17 WHL Opening Week, beginning on Friday night in Regina against the Pats. Puck drop is 7 p.m. 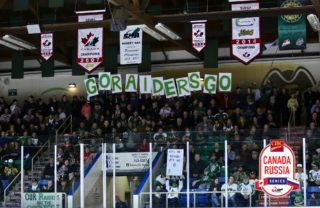 The Raiders return to the Art Hauser Centre the next night for their home opener in a return match against the Pats. 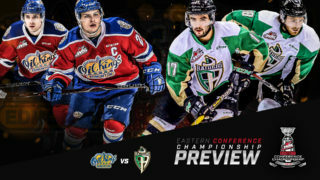 Festivities, including a barbecue courtesy of the Prince Albert Youth Travel Club, begin at 4:30 p.m. Puck drop is 7 p.m.